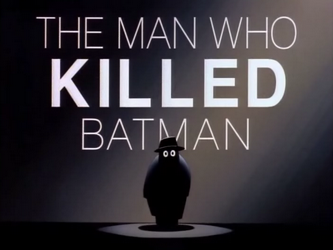 “Batman: The Animated Series,” is one of my favorite shows and after rewatching Season 1 I can once see why. It has fully fleshed out characters, villains with dimensions and adds so much to the mythos. I’ll be taking a break from Batman for a while but plan on returning to Batman and the DC Animated Universe. In this post I’ll be going into my top 10, as well as giving a link to each one and the reason why they are where they are. Each was chosen because it was the perfect episode compared to the others. 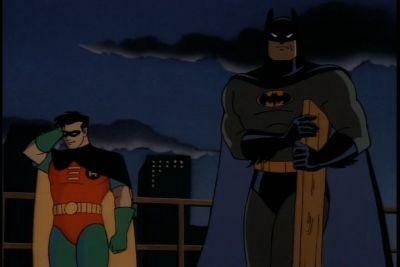 I am going to give an honorary mention to some more of my favorites though: “Harley and Ivy,” “Heart of Steel,” “Shadow of the Bat,” “Curse of the Grey Ghost,” “Day of the Samurai,” “His Silicon Soul,” and “Joker’s Wild.” All of these are worth checking out and worth more than one viewing. “What is Reality?” is not higher on the list because it doesn’t really add more to any of the characters. It is on the list though because it shows the Riddler at his height (wiping all information of his existence away and stealing money and stock via hacking) and it takes Robin and Batman working together and at their best to stop him and save Commissioner Gordon. The Riddler is one of my favorite of Batman’s Rogues and this one captures why that is perfectly. 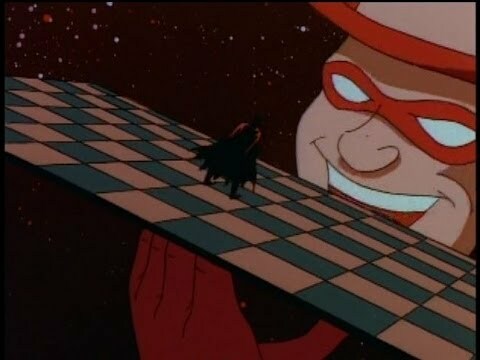 “Perchance to Dream,” is the best Mad Hatter episode since he gives Batman a world where Bruce Wayne could function in. Someone else is Batman, his parents are alive and he has a normal life. This is a common trope especially in the DC Animated Universe which is why it isn’t higher on the list, but what sets this one apart is how in the world created a Batman does exist and shows just how much Bruce Wayne needs Batman as an identity to function. “Robin’s Reckoning,” sold me on the Batman and Robin possible romance in this series. The chemistry and honesty they have with each other is greater than any of the partners they get in this universe and it shows their bond with Batman trying to protect Robin from doing something he’ll regret by killing his parents killer. The killer Tony Zucco is the weakest part of this episode, which is why it isn’t higher on the list. 7th) If You’re So Smart, Why Aren’t You Rich? This is the episode that introduces us to the Riddler and what a great episode it is! It incorporates mythology with the Riddler as the sphinx and Batman and Robin having to save the Riddler’s corrupt boss in a giant maze. This one is great in regards to their team work and shows that Robin is a gamer. The Riddler is also one of the more sympathetic rogues and this is why. He is cheated out of the game he created and fired by his corrupt boss. He could have been an anti-hero if he hadn’t violent too…showing the promise to this version of the Riddler. 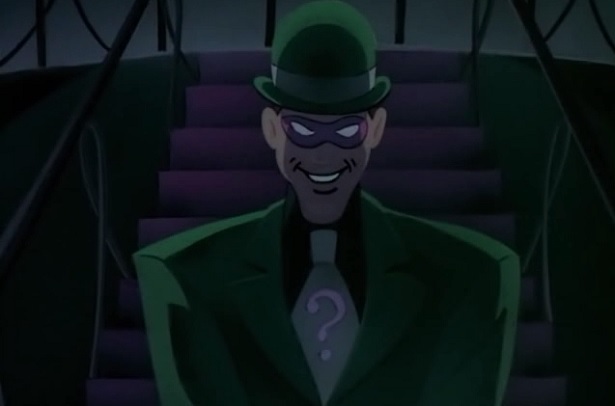 My hope is that when he returns to the big screen that inspiration will be taken from this Riddler after the horrible execution and choice that was the Jim Carrey Riddler. “Joker’s Favor,” is the episode that shows just how petty and cruel the Joker can be. Charlie is a guy having a bad day, he yells at a car that happens to have the Joker in it and he is blackmailed for the rest of his life. The Joker and Harley later use him to almost wipe out the Police Force. Harley Quinn is also the reason this episode is so perfect, given the plan would have have succeeded without her and Charlie. The ending is perfect too and we’re left wondering if Charlie snapped because of everything the Joker put him through…showing us just how deadly the Joker can be to total strangers. “Two-Face,” is one of the greatest tragedies of this series because in the beginning he was a well intentioned District Attorney who we see as a flawed but good person through his friendship with Bruce Wayne. It makes Rupert Thorne’s blackmail of him all the more powerful since he uses Harvey’s past and vulnerabilities against him, which in turn creates a monster who becomes one of the best of Batman’s Rogues. I always had hope for this Two-Face, it was a shame that the hope was forsaken as Harvey was lost and Two-Face became dominant. 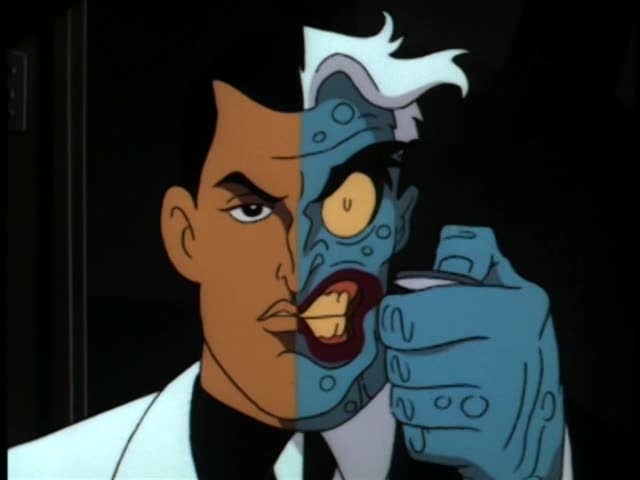 Also, my favorite Two-Face is the one from this series. “Dreams in Darkness,” asks the question of does Batman belong in Arkham Asylum? 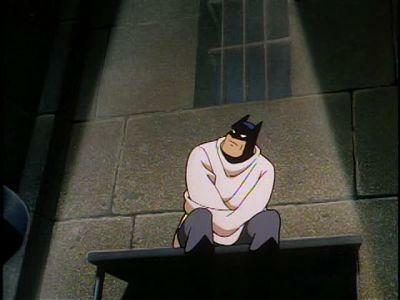 It is a haunting episode because Batman is someone who is like the crooks he brings in. He has unresolved issues that lead him to dress up like a bat to take out criminals. This is the question dealt with as he tries to convince the doctors that Scarecrow has escaped and is planning to destroy Gotham. 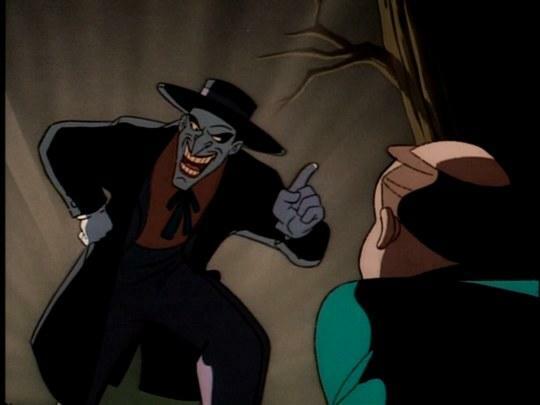 This is by far the best of the Scarecrow episodes and well worth a watch due to how it analyzes Batman, shows Scarecrow at his height and how the workers of Gotham are just normal well intentioned doctors. 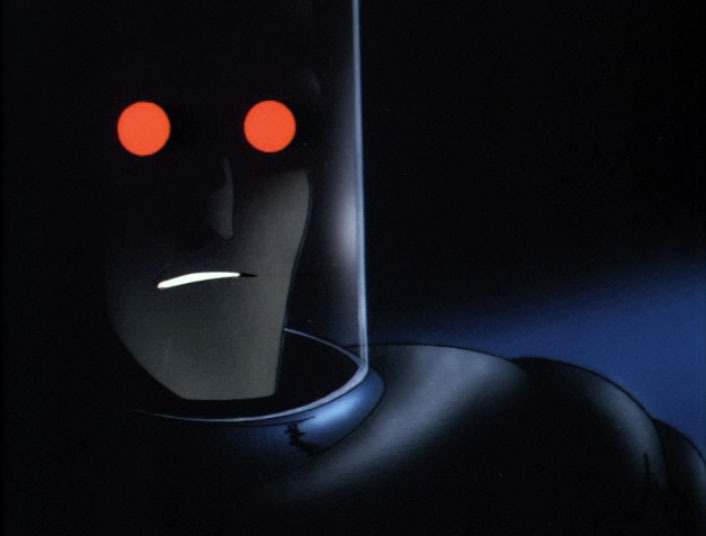 “Heart of Ice,” is one of the most tragic tales of “Batman: The Animated Series,” and by far the best of them. We see a scientist trying to save his wife with experimental technology destroyed by his boss and in the process losing all ability to physically feel. There is a reason this episode has won awards before. It is just that good and Mr. Freeze is one of the more complex rogues who I was always rooting for to get redemption. “The Man Who Killed Batman,” is an episode that explores what Gotham would be like without Batman. It would be first place if it had shown how more of the rogues reacted besides the Joker and how Commissioner Gordon reacted, but it does what it needs to. Sydney the ambitious but stupid and funny thug is believed to have killed Batman and from there he faces the consequences of it as Thorne thinks he is a threat, Joker hates him for stealing his kill and in the end the prison admires him. It is a fun and powerful episode. Told in the style of “The Canterbury Tales,” the villains Two-Face, Penguin, Poison Ivy, Joker and Killer Croc recount their exploits on how they almost killed Batman. It is fun and you see why Penguin, Two-Face, Poison Ivy and the Joker are the strongest of the popular rogues. They dynamic between them all of jealousy, animosity and friendship is fantastic since it was created by Batman bringing them down. There are a few twists and some great jokes and fantastic stories making “Almost Got ‘Im” the best of the “Batman: The Animated Series,” episodes of season 1! Next I will be reviewing some animated shows, but someday I will be returning to review Season 2 (and best of Season 2) and the rest of the DC Animated Universe. Bruce Timm helped create something great that stands strong to this day. “The Worry Men,” is the return of the Mad Hatter and the end of Season 1. This will be the last Batman: The Animated Series episode I review for a while since I plan on doing a Top 10 of Season 1 and Season 2 was also called “Batman and Robin,” so I plan on doing that separate for that reason as well. 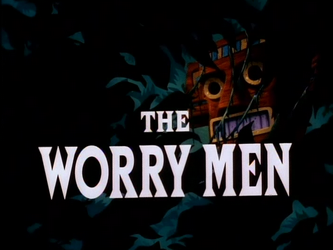 The premise is Veronica Vreeland returns with “Worry Men” that were given to her by a mysterious man to take away peoples’ worries. It also convinces them to empty their wallets and are being used to mind control people through a chip. The story is Batman figuring this out and facing The Mad Hatter. 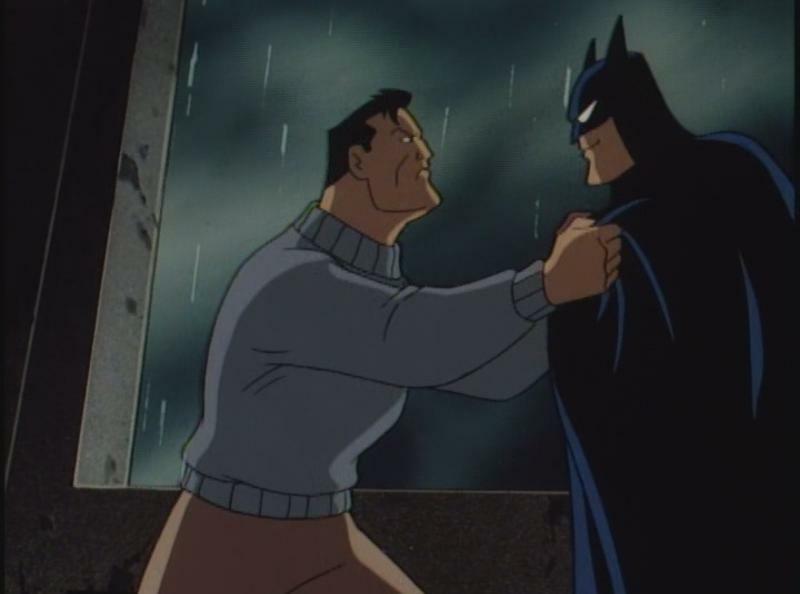 Pros: Batman – Is once again great in this episode. We see how as Bruce Wayne he doesn’t fit in well with high society and that he is in his zone when he Batman figuring out what the Mad Hatter is up too. He takes them out by breaking the mental link that the Mad Hatter has with his thugs in order to control them. Mad Hatter – The Mad Hatter is great in this episode. He is once again using others to be left alone. In this one he is using others’ wealth when he hears about Veronica Vreeland’s trip and decides it is his best bet to get the money he needs to buy an island and escape. The Henchmen – He manages to convince a native to join his scheme as well as the usual Gotham thugs. There is more going on than usual in that sense. Okay: The music – It is alright but doesn’t feel especially Mad Hattery. In the end the season ended at slightly above average. The Mad Matter’s high society prejudices are used against him when his thugs turn on him and native does too. In a way I’d wished they’d ended it with the Ra’s al Ghul “The Demon’s Quest,” since that one feels epic and large and it also ties in Robin while this episode is only Batman. Final score is 7 / 10. 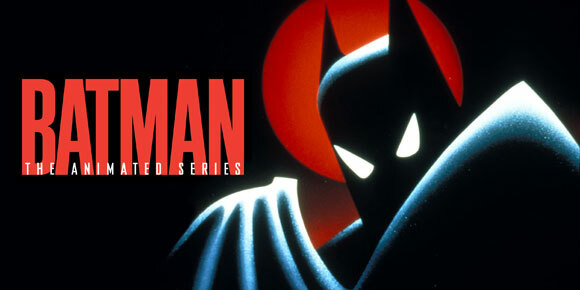 Next up, the Top 10 of Batman: The Animated Series – Season 1. 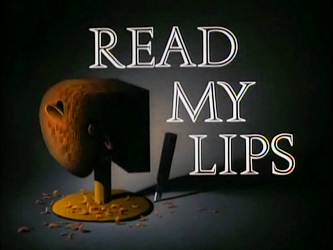 “Read my Lips,” introduces us to the Ventriloquist and the villain who is a part of him named Scarface. It begins with a new baddie doing the perfect robberies where there is no evidence tied to who the crooks may be. This leads to Batman’s search as the story unfolds. Pros: The music – Is great, it has a mob and jazzie feel to it which captures Scarface and the Ventriloquist’s relationship perfectly. The thugs – The thugs are great in this one. Rhino is a good Dragon for Scarface and even the others are at least competent. Scarface/The Ventriloquist – They have an interesting relationship since the Ventriloquist needs Scarface to function. After Scarface is destroyed he is making Scarface a new body at the end. Their dynamic is very much master and flunky and it is this that Batman uses against him/them. They are two personalities living in one that need both to live. Batman – Batman is great in this episode. From the investigation to find Rhino to discovering the psychological issue of the Ventriloquist. He is sympathetic but still will do what he has to to stop the criminal. Okay: The Premise – Scarface/The Ventriloquist never interested me all that much. I mean in an intellectual way sure…but he was never a threat the way Two-Face, Joker, Ra’s Al Ghul, The Penguin and the Riddler were. Even Rupert Thorne was more interesting because he had more relationships to define and flesh out his character. It is for this reason I can’t give the episode full points. Final score for this episode is 8.5 / 10. 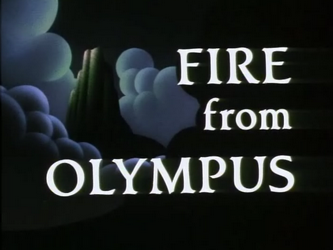 “Fire From Olympus,” is the story of a delusion taken too far. In this case a man named Maxie Zeus gets in too deep with the mob, steals a device that allows him to control electricity and takes control of a building making himself Zeus. This in and of itself is a little ironic in that Greek Gods exist in this universe…mostly through Wonder Woman stories in the DCAU. So a person being Zeus isn’t unheard of…it just isn’t this guy. Pros: Maxie Zeus – Maxie Zeus is brilliantly delusional. Everywhere he goes is Olympus to him. From Arkham where Poison Ivy is Demeter, Joker is Hermes, etc. at the end…to the building he is atop on is Olympus and his assistant is a muse. He is tragic in his delusion too since he wasn’t originally this way. Batman – Batman takes him out in a creative fashion and has been dubbed Hades by Zeus since he sees Batman’s dark as representing the underworld and him as his brother attempting to steal the throne. Batman is creative in how he defeats him using his Thunder Bolt weapon against the Lightning machine. Clio – Maxie’s assistant who helps him until his delusions go too far and he begins hurting people. She manages to smuggle Batman in which leads to Batman saving her and the day when Maxie is targeting Gotham with his Lightning weapon. The Music – Has that Old Classic Greek in Hollywood feel to it. It is great and epic and captures the delusions of Maxie really well. This episodes biggest problem is Maxie never comes up again and that the technology is never used. It is a great episode but not a favorite. The payoff in regards to Maxie finding himself again never happens and it is tragic without any idea of what happens to those he hurt. Final score is 8 / 10. “His Silicon Soul,” begins with a break-in into the Cybertron warehouse by some thieves, which leads to the release of the Duplicate Batman who believes himself to be Batman. From there the story unfolds as he figures out who and what he is as H.A.R.D.A.C. seeks to use him to his own ends. Pros: H.A.R.D.A.C. – Is a force of nature that I hope is still around after this (it was smart enough to make a back-up Duplicate…why not others?). He is there tempting Duplicate Batman to kill and to fulfill the original program that was stopped when H.A.R.D.A.C. was first destroyed. At the end we are left wondering if he is still around or if he has been destroyed for good this time. Duplicate Batman – This is the story of Duplicate Batman since the Silicon Soul of the title is the possible one this character has. He believes himself to be Batman and does not kill until H.A.R.D.A.C. seeks to “correct,” his mistake. He even saves the maker of H.A.R.D.A.C. at one point and acts pretty good given how everyone reacts to him with fear once they see the robotics that make him up. When he believes he killed Batman he kills H.A.R.D.A.C. in guilt since he now fully realizes H.A.R.D.A.C.’s goals. He is a great character. Alfred – Is pretty useless overall. He mostly needs to be saved and acts out of fear, but he still has some good moments with Batman and even some regret towards his actions in regards to Duplicate Batman. Batman – Is the best character once again. He realizes he should try and help Duplicate Batman a bit too late but when the rise of H.A.R.D.A.C. is commencing he does everything he can to save Duplicate Batman and stop the plan. He is the one afterwords who muses if Duplicate Batman had a soul of silicon. The Message – Is quite good though could have been executed better. This episode would have worked better as a longer episode or a two parter. We don’t see H.A.R.D.A.C. fully return which would have been a much more powerful message if it had been Duplicate Batman working with Batman to take him down. Still great though and gives us a chance to think about what it means to be alive and have a conscience. This is a favorite that I would recommend. It explores some interesting philosophical ideas and takes a different approach to character P.O.V. which adds a lot to how the story unfolds. My final score this episode is 9.7 / 10. 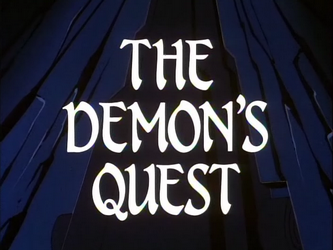 “The Demon’s Quest,” is a strange two parter to review. I say this because there are some interesting ideas it poses but also a lot of missed opportunities for both the heroes and the villains. The premise is that Robin has been kidnapped (as well as Talia) so Ra’s goes to the Batcave to enlist Batman to rescue them. Over the course of the story we come to know this as a plot for Ra’s to make Batman his heir. The story unfolds around this and later Ra’s final plan in the second part. Pros: The Tests – The tests Ra’s has Batman do are actually kind of cool. From fighting a Panther in a fight, to discovering where a person is based off a single bit of data. Seeing Batman solve these while sticking to his code is actually quite awesome. Ra’s al Ghul – This isn’t my favorite Ra’s. That Ra’s is stolen the Ra’s al Ghul of the Nolanverse since even when he loses he wins…his destruction of Gotham lead to Joker and Bane who destroyed Gotham in their own ways…and he still causes fear in Bruce Wayne. This Ra’s Al Ghul is just a giant eco-terrorist who may have grand schemes…but never wins. Poison Ivy at least wins some of her battles. The same cannot be said of Ra’. Plus he is overlooking a completely good heir in his daughter Talia, the only reason she isn’t his heir is because she isn’t a man. Basically sexism cheats him of carrying on his own legacy through another. Batman – Batman is great in this episode. He protects those who are trying to kill him and manages to stop Ra’s by destroying the satellite when he doesn’t rise to Ra’s challenge for a one on one fight to the death. He even tries to save Ra’s after everything and clearly has feeling still for Talia. Talia al Ghul – I wish she’d call out her father more. She is against his means but we never see that. She is just a pawn except when it comes to protecting Batman. I’m still putting her as a pro because she is a compelling character. Okay: Ubu – Is a great dragon for Ra’s al Ghul (he nearly wins all his fights and is a challenge). I do wish Talia had played this role though, it would have added more conflict and making her turn against her Father’s plans more explicit and actually happen beyond affection for Batman. Robin – Appears in this episode as someone to save and not much else. He isn’t really a pro or a con. Cons: Orientalism – This term applies to this episode greatly. From most of Ra’s men looking Arabic and none of them being good (since calling Talia “good” would be a stretch), their is this fear of the east. This is represented best by Ubu who is constantly calling Batman infidel and doing stupid Machismo actions just so that Ra’s can have his ego stroked. The one counter to this is The Society of Shadows is International…it is just at the end that most of the men are Arabic. I would recommend this episode even barring this major con. Just keep it mind while watching it. Ra’s is not as strong as he could be…he never wins the way other of Batman’s rogues do…and Talia does need to be fleshed out more. It is a fun adventure though along the lines of the good Indiana Jones movies and it is great to see Batman solve puzzles and take out a rather large elaborate plan. “Blind as a Bat,” deals with Batman facing off against Penguin with limited means…lack of sight. The story begins with Penguin hijacking The Raven an experimental Helicopter. He attacks Wayne Enterprise and Bruce Wayne is made blind from an explosion. From here the story unfolds. Pros: Penguin – Penguin is a great antagonist in this episode. His pride is his downfall in this case since he could have escaped when Batman retreats after Penguin destroys the Batwing. He does a lot of damage over his time with the craft though. Leslie Thompkins – Is brought in and helps build some experimental tech the Raven has in order to help Batman take on the Penguin. She is a great help throughout the episode and of course knows that Batman and Bruce Wayne are one and the same. Batman – Batman does a great job of fighting with limited means…he finally beats the Penguin by creating enough smoke that the Penguin coughs revealing his position. He is completely blind at this point due to the power of the device he was losing was lost when Penguin destroys the Batwing. Okay: The Plot – The Plot has an interesting premise…but a lot more could have been done with it. Batman never reveals his vulnerability to anyone except Alfred and Leslie. This I think limits the character to an extent since we have seen him reach out to others going through similar things in the past. Because this doesn’t happen it makes him seem smaller. 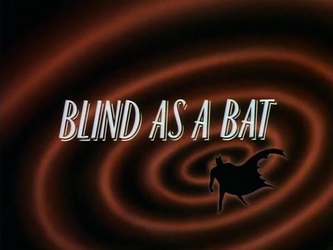 “Blind as a Bat,” is an interesting episode that uses the art style to express limited sight really well. The biggest problem is we don’t see Batman take it as far as he could have or Penguin use his tech for anything more than money. In both cases the situation is not fully realized. Due to these factors the final score is 7 / 10.